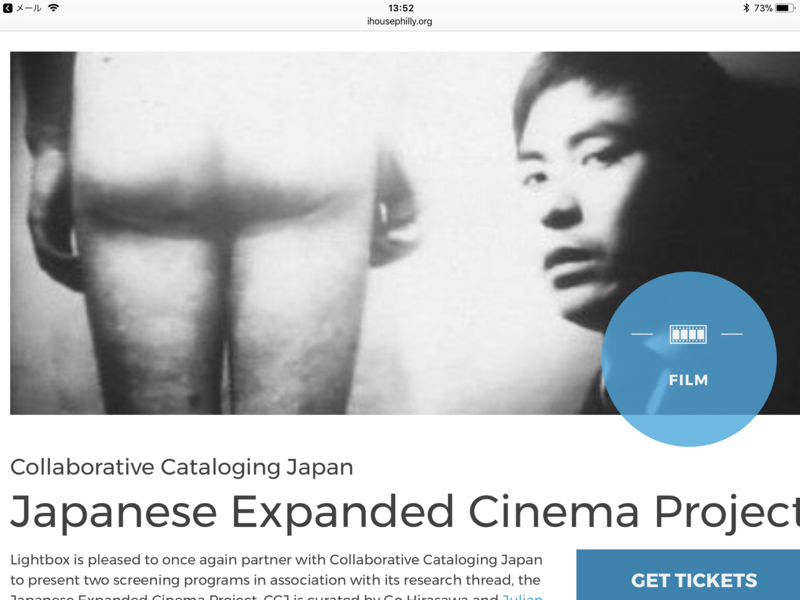 Organized by Collaborative Cataloging Japan, “Japanese Expanded Cinema Project” will present two of Idemitsu Mako’s film works: “Next” and “A Woman’s House”. These two 16mm film work will be screened original 16mm film projection. Curated by Go Hirasawa and Julian Ross. The screening will be held 4th. November. The venue is International House Philadelphia. Please come and join the screening if you are living or visiting the area.